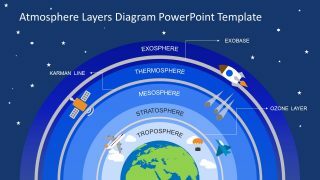 The Atmosphere Layers PowerPoint Template is a cool educational presentation. The template contains a globe image which illustrates geology concepts. 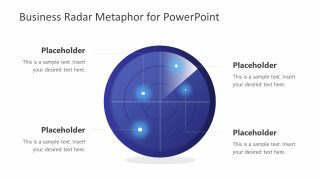 This atmosphere template includes two slides to graphically display five different invisible layers that surround earth. These two slides are basically distinct version of earth and atmosphere concept. 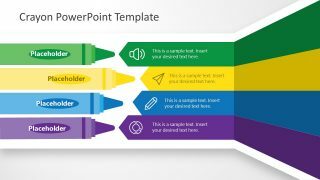 For instance, the first slide shows a creative and colorful design containing shapes and icons. 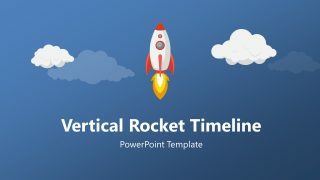 Whereas, the second slide gives simple and clean display i.e. a summary view of the topic in blue pie shape. Therefore, it is a perfect learning presentation of geological prospecting, space, and environment. 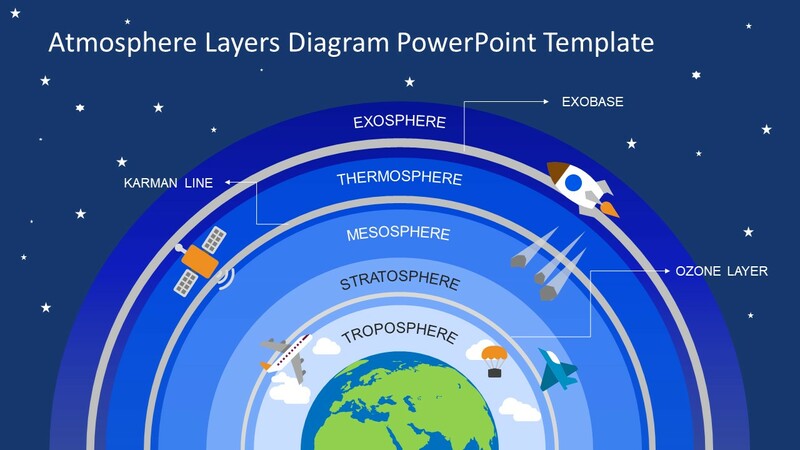 Especially in schools, this visually attractive layout can help explain each atmospheric layer. Further, these graphics can present complex details of atmospheric layers according to each educational standard. Troposphere: The lowest layer extending 6-10 km from earth surface. Stratosphere: A second major atmospheric layer upwards from troposphere to 50km above the earth surface. Mesosphere: Between Stratosphere and Thermosphere, 50-80 km in altitude. Thermosphere: Above 80km where temperature increase continuously. Exosphere: The outer most atmospheric region of earth with most dense air. 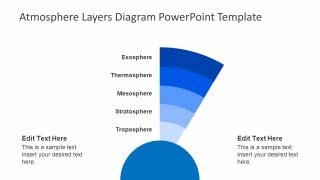 This PowerPoint of atmosphere layers is a set of shapes and icons to effectively deliver geology or environment-related content. 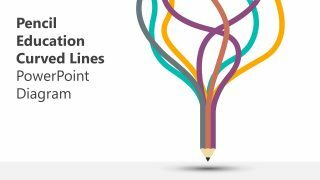 Each layer of atmosphere contains clipart, assisting audience to understand these levels. For example, troposphere shows clouds, hot air balloon, and an airplane. While stratosphere contains fighter aircraft, meteoroids in mesosphere, satellite in thermosphere, and space rocket in exosphere.